Over the rainbow! All the colors of a rainbow come together in our brilliant Rainbow collection. It's perfectly suited for any ocassion with its bold range of vivid colors. Pair it with our solid color tableware for example in red or lime green for a wonderful touch of accents, and you are sure to find your pot o' gold at the end! 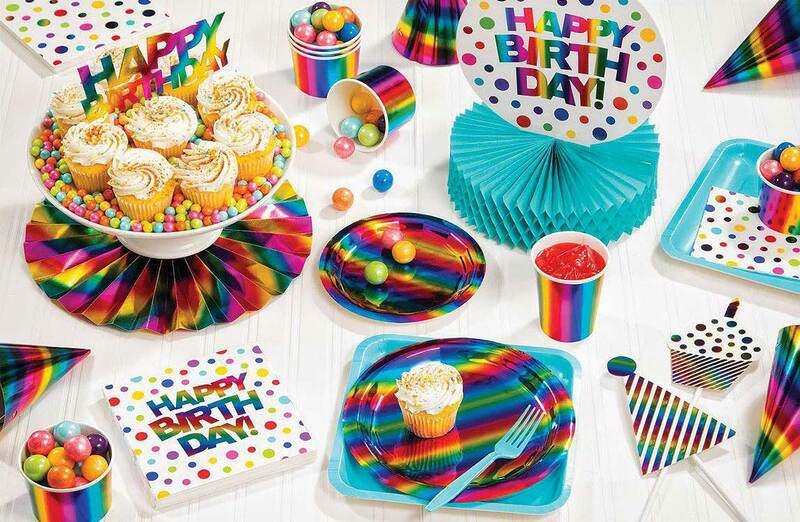 Rainbow Foil Plastic Tablecover 54"x 102"